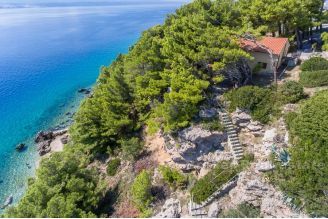 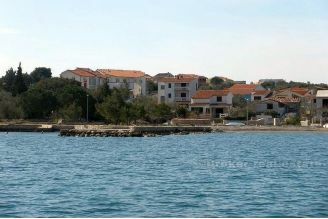 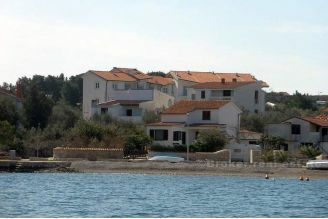 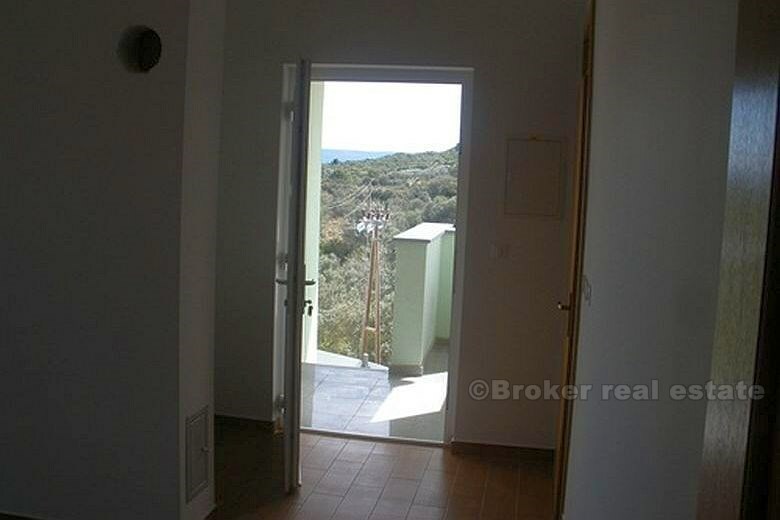 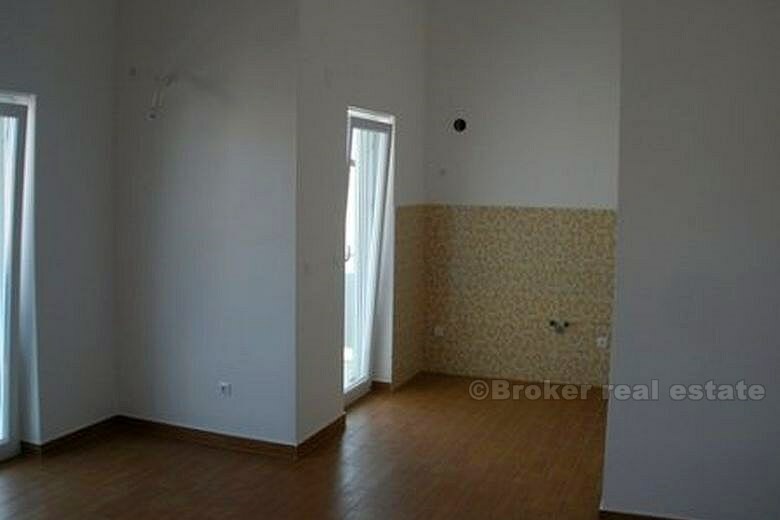 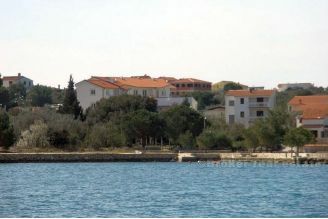 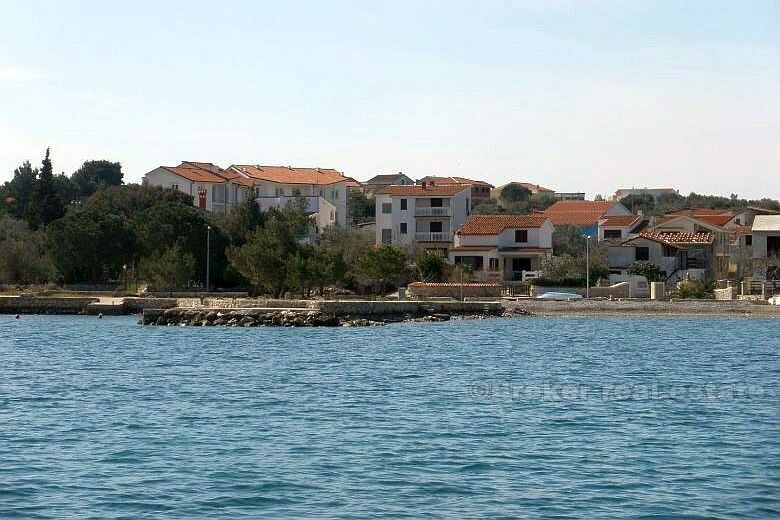 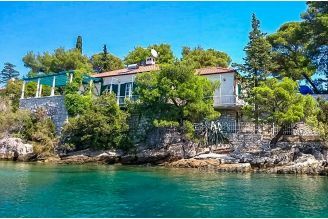 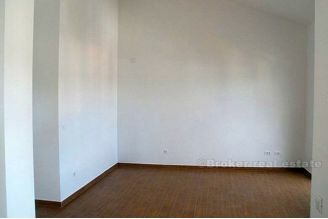 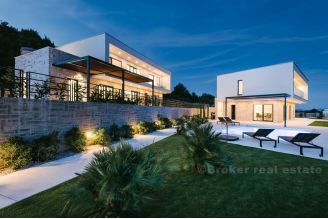 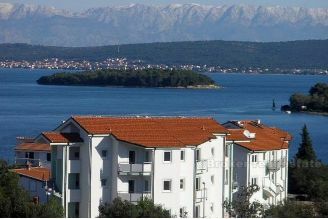 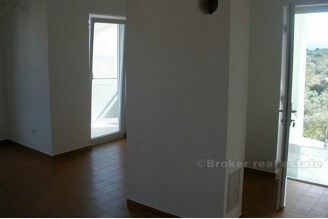 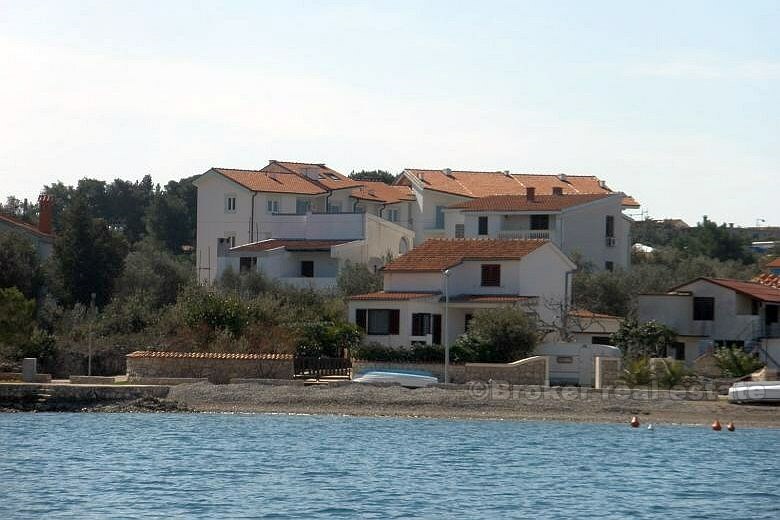 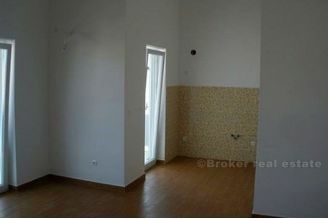 The property is located on the island of Pasman. It consists of six apartments, distance from the sea is 100m, 50m from the shops, 100m from restaurants, bus station is in front of the building. The apartments have a sea view. 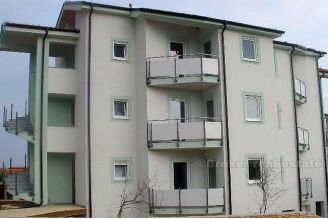 Apartments on the ground floor have appropriate portion of land. 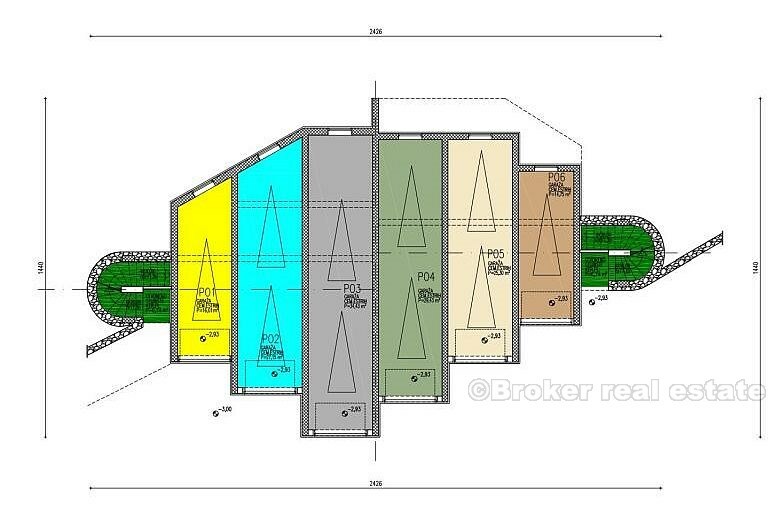 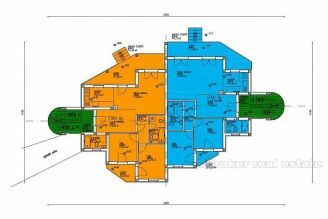 With apartment parking place or garages can be bough separately and price is on request. 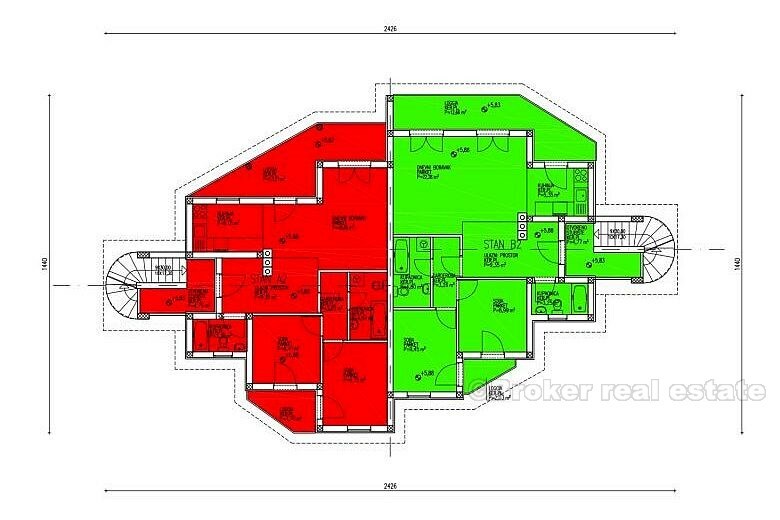 First "FLAT Ap" - bedroom apartment on the ground floor comprising entrance hall, lounge, kitchen, two bedrooms, dressing room and two Bathroom area 63.56 m2, two balcony area 16.91 m2 and external staircase area 1.80 m2, which has a parking space P1 surface 12,5 m2 and a land area of ​​137.81 m2, labeled flat "FLAT Ap" on the ground floor, on the attached discussion paper bordered in orange. 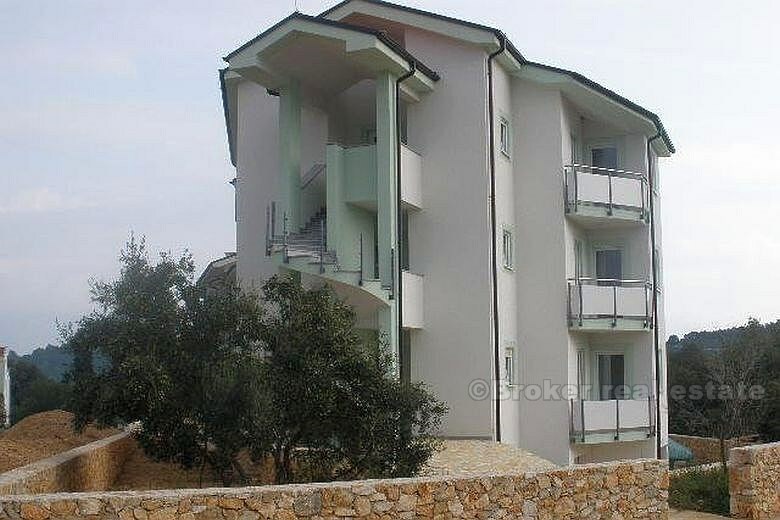 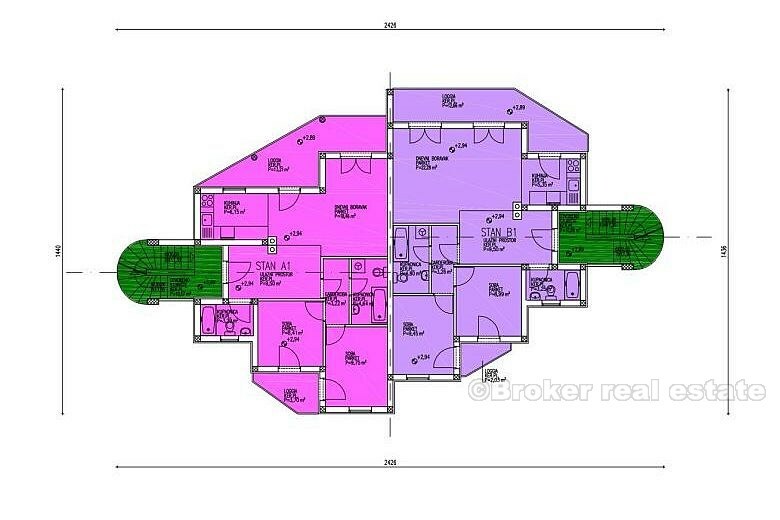 Second "FLAT Bp" - bedroom apartment on the ground floor flat comprising entrance hall, lounge, kitchen, two bedrooms, dressing room and two bathrooms area 67.02 m2, two balcony area 14.69 m2 and external staircase area of ​​2.10 m2, which has a parking space P6 surface of 12.5 m2 and a land area of ​​116.83 m2, labeled flat "FLAT Bp" on the ground floor, on the attached discussion paper bordered in blue. 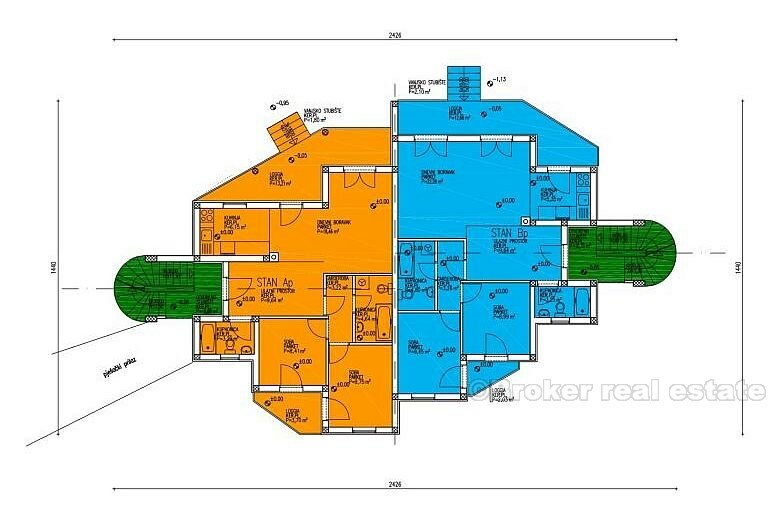 3rd "FLAT A1" - bedroom apartment on the first floor of the building which contains the foyer, living room, kitchen, two bedrooms, dressing room and two bathrooms area 63.42 m2, two balcony area 16.91 m2, which has a parking space P2 area of ​​12.5 m2, labeled flat "FLAT A1" on the first floor of the building, the attached discussion paper bordered by pink color. 4th "FLAT B1" - bedroom apartment on the first floor of the building which contains the foyer, living room, kitchen, two bedrooms, dressing room and two bathrooms area 66.88 m2, two balcony area 14.69 m2, which has a parking space P5 area of ​​12.5 m2, labeled flat "FLAT B1" on the first floor of the building, the attached discussion paper bordered by lavender color. 5th "FLAT A2" - bedroom apartment on the second floor of the building which contains the foyer, living room, kitchen, two bedrooms, dressing room and two bathrooms area 63.27 m2, two balcony area of ​​16,91 m2 and external staircase area of ​​4.75 m2, which has a parking space P3 area of ​​12.5 m2, labeled flat " FLAT A2 " on the 2nd floor of the building, the attached discussion paper bordered in red. 6th "FLAT B2" - bedroom apartment on the second floor of the building which contains the foyer, living room, kitchen, two bedrooms, dressing room and two bathrooms area 66.73 m2, two balcony area of ​​14,69 m2 and external staircase area of ​​4.77 m2, which has a parking space P4 area of ​​12.5 m2, labeled flat " FLAT B2 " on the 2nd floor of the building, the attached discussion paper bordered in green.